"My" edocr beta released! 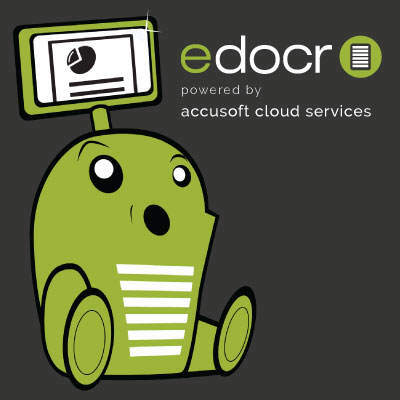 Sept. 22, 2015 - Fasten your seat belts edocr users, we have released the beta version of my.edocr ! What we have been doing here at Accusoft over the last few months is adding all the existing edocr features to our older Prizm Share product, plus bringing in additional must have features, such as private, secure & 'for sale' settings for content, in such a way that we can ultimately bring all of these features over to edocr later this year. This will provide many more features to our business users of edocr. It was important to us to get our site to a single, supportable codebase while we continued to rapidly grow the users of the edocr service. We are proud to announce that over 50,000 new accounts have been created & close to 200,000 documents uploaded on edocr, since we purchased this property this past March. What we will be doing on my.edocr over the next two months is adding additional requested features, many from docstoc users looking for a new home, and hardening the site, so that in December we can bring all of the new code to edocr in a seamless manner as a site upgrade. Our plan is to continue edocr as a B2B content marketing and leadgen site, while offering a more casual version for personal, private, small group, blogging users via the my.edocr service. A teacher sharing documents to a classroom perhaps; or, a homeowners' association or other small not-for profits maintaining its records for members to view, some public and most private. The first major feature that you will see is embed. Now you may store your documents on my.edocr and drop our fantastic, mobile ready, responsive viewer right on your web site with the snippet of code we provide for the full size document view, or thumbnail with a link back to the my.edocr viewer. So, if you are already an edocr user and want to test some of the new features on my.edocr before they are made available on edocr, go ahead and create a separate account for now, and our tech team will sort out at some point how to merge the accounts later. edocr & my.edocr are committed to making your documents work harder for you every day! If you build a great profile page, with links to social media and your website, you make our job of helping you so much easier! Thanks again for your support! Comments and suggestions are appreciated! Until next time, keep publishing! Publishing documents on edocr is a proven way to start demand generation for your products and services. Thousands of professionals and businesses publish marketing (brochures, data sheets, press releases, white papers and case studies), sales (slides, price lists and pro-forma agreements), operations (specifications, operating manuals, installation guides), customer service (user manuals) and financial (annual reports and financial statements) documents making it easier for prospects and customers to find content, helping them to make informed decisions. Hello, of course this paragraph is actually fastidious and I have learned lot of things from it on the topic of blogging. thanks.